Epson has introduced the new EB-485Wi Ultra-Short Throw projector into the Kenyan market. The company aims to promote interactive learning in Kenyan schools with the new projector. Featuring two interactive pens, the second generation EB-485Wi makes writing on the screen easier. This will allow greater collaboration between teachers and students. The pens are accurately detected when not in contact with the projection surface thanks to the ‘hover’ function. To achieve this, it features two digital infrared pens that allow users to write with “virtual ink” on the projected area, manipulate interactive onscreen objects and features, or use them as a computer mouse. This innovative tool delivers a cost-effective solution for presenters to easily use its interactive capabilities and eliminates the need to purchase and install cumbersome dedicated interactive whiteboards. 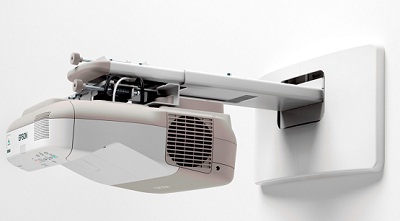 The projector can be mounted in four positions, including under glass-top tables, to offer greater interactive options for engaging group work. It can also project large images from a very short distance, therefore ensuring that shadows are minimised. Compared to previous models, the EB-485Wi is 30 per cent smaller in size and has increased lamp life of up to 3,000 and 4,000 hours in normal and economy modes, respectively.